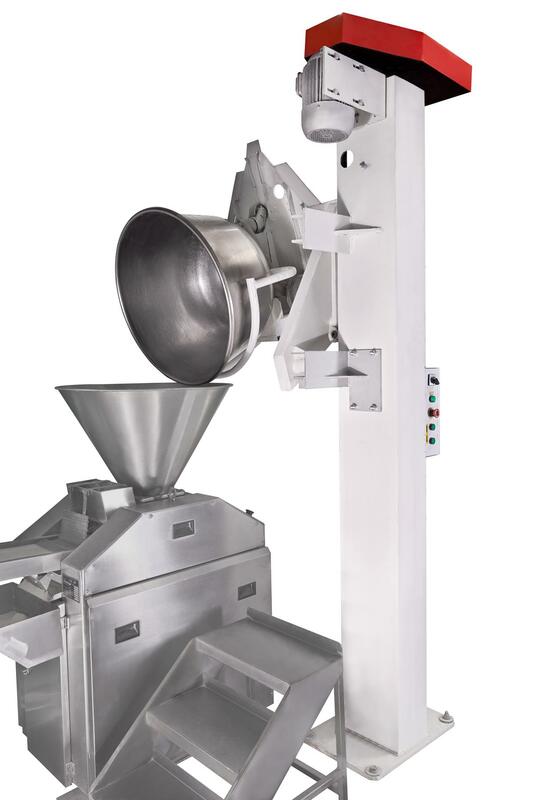 The POISK single-screw bowl lifter and hoister is designed for lifting, hoisting and lowering bowls of dough mixing machines at bakery and confectionery industries, where manual labor mechanization is required. The POISK bowl lifter and hoister is reliable, easy in installation and maintenance. According to the individual needs of the customer, LLC PKP «BAK» can produce bowl lifters and hoisters with different bowl lifting heights, depending on the need, whether it is hoisting into a dough divider or to a cutting table. A great advantage is also the suitability of our hoisters with bowls of different manufacturers with a variety of volumes. LLC PKP «BAK» provides its customers with reviews from operating bakeries and bread-baking plants on the supplied bakery equipment. We guarantee the quality and reliability of bowl lifter and hoisters by LLC PKP «BAK».